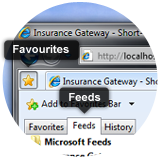 Please note the feeds below are for the Zambia Gateway only. Below is a sample of the RSS Feed for the Zambia Press Room. An entity in addition to the named insured, who, having an interest in the subject matter of the insurance, is entitled to protection under a policy either by virtue of the wording of the basic policy or because the policy has been altered to protect that interest.